The Battle Belongs to The Lord	What is the Sovereignty of God? Predestine means to know beforehand. 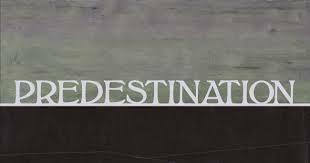 Predestination means that God knows all that will take place beforehand or in the future. This biblical subject has special significance for those who will be saved by the blood of Jesus Christ and those who will not. This is a hot spiritual topic and the purpose of this blog is for me to share what I believe God’s word says to me…..it’s NOT to argue the point! As my head was swimming around this topic….I asked my wonderful bible understanding husband to explain this to me and He refused. He said I need to find out in my own Tanya way. So I have spent hours researching and studying this. 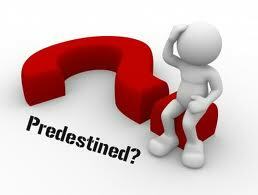 So the big question… if God already has predetermined our destiny why share the gospel of Jesus Christ? Because the Lord commands that we share the gospel. Because it is an honor and a privilege to do so. To be used here on earth will guide the Lord in our duties and privileges in heaven. It will begin with rewards at Christ return. We got a hand up (someone prayed for us) so we share the joy by being a blessing to someone. So we can be active in the work of the kingdom and sharing the gospel will help keep our focus on God and all that He’s done for us. So we will fulfill God’s will and plans for us. A cloud of witnesses are watching us. Will we be faithful and thankful in our obedience in sharing the gospel? Because it was already predetermined that we will cross that unsaved person’s path. We may not know if we are sowing…planting…or watering…but God will bring about the end results of our work by knocking at the door of that persons heart and God knows whether He will be allowed in or will he have to stay outside. We are joining with God in the GREAT work of helping people get into the kingdom of God!! 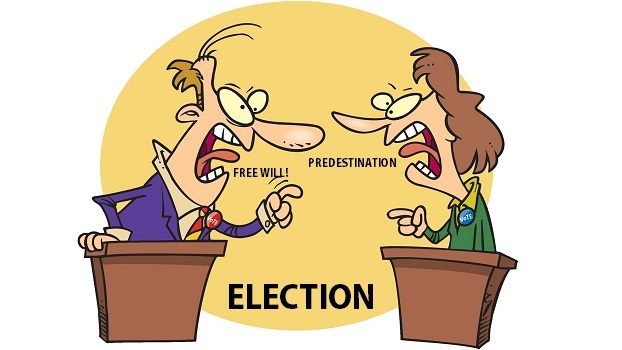 Predestination….hummmmm! Let’s try to get this. Now I was a foster parent and you take in children that need a family. You might form a special bond with some of the kids you foster and some you just don’t. When you do get that special bonding… you do everything in your power to adopt that child. Other children just move on to other families. Why does one connect with a child you bonded with? I believe it’s because that child believes in you and that they appreciate your kindness and all the effort you put into their care. I feel God is like that with His creations. He see’s in their heart that they believe in Him. I feel that our coming to earth is a manifestation of our soul being born out of God’s heart and mind. That is where we got our start. This is why God tells us that this is not our home here and earth. We’re here temporarily and we belong with God. Our free will started in His mind where He created us. Jesus was necessary because of God’s holiness. We could never be in God’s presence in this non-glorified human form. Jesus will present us faultless before God. I believe it’s all about the heart…what is in your heart? God already knew what was going to be in a person heart before they were even born. Every person was born in sin except Jesus Christ. I believe God ran after those who He already knew would believe in Him and love Him back. You can’t fool God…He will look right into your heart and know your intent towards Him! God loves us all! God doesn’t send anyone to hell. An unrepented, unbelieving, sinful, hardened heart does. FYI- We will not understand all of God’s plans. Why He did this and why He does that! We follow as best we can about everything in the Holy Bible. We obey Him and love others! We share the gospel! We remain faithful until our end or until He come back for us. Worrying or trying to figure out the trinity, the transfiguration, speaking in tongues or not and predestination should not be a constant struggle. Don’t argue with others about biblical things. Stick to the facts and showing love and patience’s to others. God is mysterious!!! He’s amazing. There is no one else like Him anywhere. Just enjoy the life He gave you…even if it’s a difficult life because we are going to get a supernatural body, a supernatural life, live in a supernatural galaxy, with a supernatural Father…..this has been predestined!!!!! This is well-written, from the heart and from Scripture. I especially love your admonition not to argue with others regarding biblical things. Since I’m Catholic, I often find others too eager to “convert” me to their way of thinking, when what I believe isn’t wrong at all. Every denomination has its own way of worshiping. What’s important, though, is that we worship. Every day. And that we obey Jesus’ words to love God and our neighbor. After all, we’re all striving toward the same goal — Heaven! I get very upset when I hear people Catholic bashing. There is only one being I know of who has the rite to judge….and that’s God almighty. Mother Nemley Nice reading your bio and it reassuring to know that others are on the battlefield holding up the blood stained banner and proclaiming God’s righteousness. After all God has done for me….I bow down and kiss His feet in my heart!!! I’m so grateful and will spend the rest of my life proclaiming the good news of Jesus Christ!!! To God be all the glory!! God bless you! Thanks for sharing this. 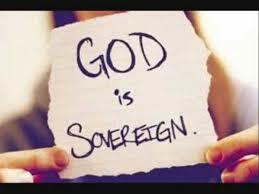 I think the Bible is very plain teaching us that God is sovereign in everything. If not, He can’t truly be a god we could rely on because He wouldn’t be all-powerful. Believing He is sovereign brings me great comfort and also humbles me that He would want to waste His time on me. It also makes me want to share His message to all I can because this is the method that He has chosen to save His people. Thanks for bringing this out. I have done it on more than one occasion and have been ridiculed and blasted. Just last week I received an apology from the most violent remark I’ve ever had and he told me he now believed God is sovereign. If we share it with love The Lord will use it for His glory!!! I too have had my share of the “opinionated”. But I’ve had way more blessings from those who needed encouragement. We know we are on the right track if we face persecution for sharing truth. I try not to be weary in well doing. The battle is the Lords so we must march forward as Christian soldiers. God bless you Levi…keep writing!!! You are right about sharing the truth. I think when we are first saved we are all pretty much Arminians. I always try to remember this when sharing. You keep writing and by His grace I shall as well. Lord bless you! !